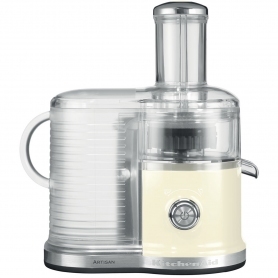 Crafted with a premium die-cast metal casing, this KitchenAid juicer is sturdy and stable. Finished in a subtle almond cream, the 5KVJ0333BAC is a beautiful appliance. Make the most of the 2-in-1 wide feed tube and food pusher, designed for a collection of fruits and vegetables. Save yourself time and juice bigger, bulkier food items hassle-free. 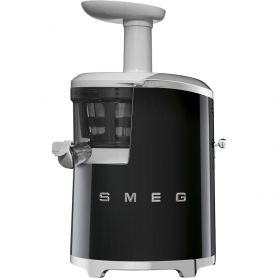 And, the 1.2 litre pulp storage container and bin mean you won’t have to keep emptying your machine due to larger ingredients. The handy one litre pitcher collects your juice, ready for pouring or storage. Just use the anti-drip spout to start or stop the juice flow. What’s more, all of these great features are made out of BPA-free plastic.